The update is for users who were unable to send emails using Outlook.com, Office 365, or Exchange accounts. 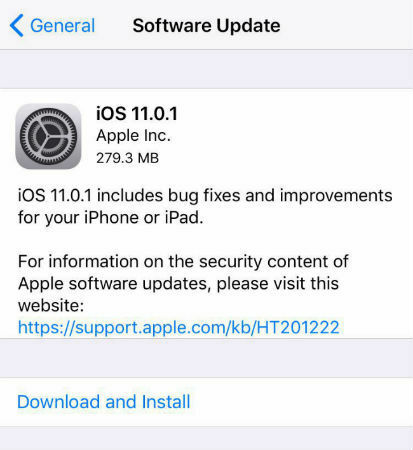 Apple has started pushing out an update to iOS 11 a week after the software was officially released on September 19. 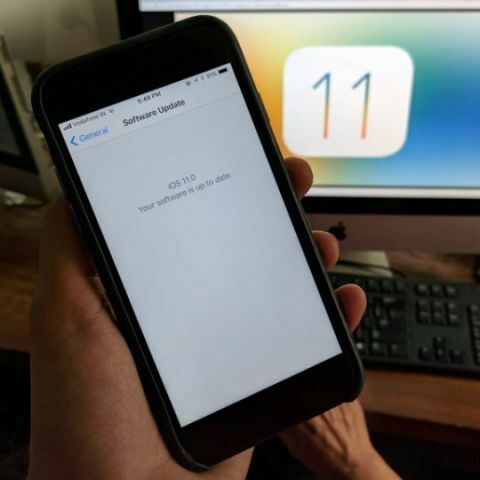 The update called iOS 11.0.1 fixes a critical bug which was preventing users from sending emails using accounts hosted by Microsoft on Outlook.com or Office 365, or an Exchange Server 2016 running on Windows Server 2016. After updating to iOS 11, many users were seeing an error message - "Cannot Send Mail. The message was rejected by the server" - while trying to send emails using Microsoft email accounts. Apple has announced the update on its support page, however the update is still not available on all iOS devices. This may be because Apple is rolling it out in a phased manner. To check if you have received the update, head to Settings, General, Software Update and check for updates. For those who are still on iOS 10, reports suggest that iOS 11 drains battery life on iPhones and iPads twice as fast as its predecessor. However, the software update does bring a host of new features to iOS devices, including support for ARKit-based augmented reality apps, enhanced multitasking and more.